The Operator includes the owner of the Boat, the Operator’s subsidiaries, employees, directors, affiliates, agents and subcontractors appointed by the Operator. 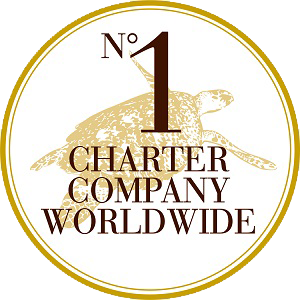 The Charterer includes the Charterer’s guests, family, employees, agents and crew members. In this agreement, unless the context otherwise requires, the singular includes the plural and vice versa, words denoting gender shall include all other gender, headings are for convenience of reference only and shall not affect construction of the agreement. Children are defined as persons under the age of sixteen years. Time is of the essence of this agreement. The Operator shall deliver the Boat at the Port of Delivery staunch, clean and in full commission ready for service at Midday of the commencement date. The Operator may allow credit pro rata for charter fees covering periods of delay in delivery. The Operator has the right, at its discretion, to substitute a boat of similar type or to cancel the charter and to refund the charter fee. If the Operator fails to make delivery within twenty-four hours after the due time then the Charterer may cancel the agreement and a full refund of the charter fee will be paid. The Operator shall then have no further liability to the Charterer beyond that refund. The Charterer warrants that he will examine the Boat before taking delivery and by accepting the Boat shall be deemed to have satisfied himself that the Boat is staunch and properly outfitted for a yacht or motor cruiser of her type, size and accommodation. Should the Charterer not be ready to accept delivery of the Boat at the stated time for delivery for any reason the Operator has the right to set the time of delivery any time within the next twenty-four hour period. In that event there shall be no partial refund for any of the charter time lost. The charter period commences with the area briefing and boat familiarisation or sail orientation. A fuel bond if applicable. 3.2 In the event the Charterer cancels this agreement by notice in writing received by the Operator at PO Box 293, AIRLIE BEACH, QLD. 4802 more than sixty days prior to the commencement of the charter period, the deposit will be refunded in full less a service fee of $ 110.00. If less than sixty days of notice of cancellation is given the full charter fee shall remain due and payable and will not be waived or refunded unless the Operator is able to obtain an alternative booking for the same charter period. 3.4 The damage waiver payment in Clause 3.3 in no way limits or reduces the Charterer’s liability in respect of the agreement other than so as to reduce the minor loss or damage items referred to in that clause. At the time of delivery the Charterer shall, if requested by the Operator, complete, check and sign a record of inventory and on redelivery to attend to checking with the Operator and to countersign the record of inventory after checking. Any lost or damaged inventory item shall have all expenses relating to the loss or damage paid by the charterer. If the Operator does not require signing of a record of inventory, its right to be paid by the Charterer is not waived. The Charterer shall pay all running expenses during the charter period including pilotage, port charges, sail guide and crew charges, service calls (excluding break downs not the fault of the charterer), refuelling costs, engine running costs (if applicable) and provisions and supplies for the charterers party. If the Charterer is chartering a motor cruiser the charterer agrees to pay a fuel deposit as determined by the Operator. Knowledge and practical experience in the handling of inboard auxiliary powered sailing craft and associated equipment of the general type and size of boat. (a) The Charterer warrants that he is a competent person in the handling and operations of the type of boat chartered. (b) The Charterer undertakes not to permit any other person to operate the Boat unless that person is a competent person. (c) The Operator reserves the right to require the Charterer and any other person who shall operate the Boat to demonstrate to the Operator that they are competent persons. Should the Operator not be satisfied with the competency of the Charterer, the Operator may require a sailing guide on board the Boat for such period as determined by the Operator. (d) In the event that the Charterer or any other person is considered by the Operator to be a competent person as a result of any misleading, deceptive conduct or misrepresentation by the Charterer and upon which the Operator has relied to form an opinion then the Operator shall have the right to install a competent sailing guide aboard the Boat and at its election to terminate this agreement. The Operator shall have the right to recover all losses against the Charterer without any liability to refund or compensate the Charterer. The Charterer shall restrict the cruising of the Boat from 0630 to 1700 hours unless authorised by the Operator. The Charterer shall limit his cruising perimeter to the area and limitations clearly defined and specified by the Operator. The Boat shall be employed exclusively as a pleasure boat for the sole and proper use of members of the Charterer’s party. The Charterer shall not carry on the Boat more than the specified number in the party and the Charterer shall not permit any other party, except competent persons within the Charterer’s party, to operate the Boat unless the prior written permission of the Operator is obtained. The Charterer shall not race the Boat. The Charterer shall not raft up the Boat up against any other vessel. Except with authorisation of the Operator the Boat must not be used for towing any vessel other than the tender. There must be no transferring of any equipment from the Boat. The Charterer shall not engage in trade including transporting merchandise or passengers for pay. No goods, documents or drugs shall be carried which would involve the risk of seizure of the Boat by any government. Pets shall not be taken on the Boat. Children must be under the control of a responsible adult. That adult is responsible for the conduct and personal safety of the children while on the Boat. The Charterer shall not allow any person on board to commit any act contrary to the laws of Australia, or of any other government within the jurisdiction of which the Boat may be at any time and shall comply with the law in all other respects. The Charterer shall not tie the Boat up at any jetties or piers except those approved by the Operator prior to the charter or make any landing with the Boat. At the commencement of the charter period the Operator shall relinquish its possession and command of the Boat to the Charterer and full authority regarding the management of the Boat and its crew or members of the charter party shall be transferred to the Charterer for the period of this charter. Should a sailing guide be put on board either at the Charterer’s request or at the Operator’s option the sailing guide shall be under the sole direction and control of the charterer who shall be fully responsible for the sailing guide. The Charterer shall pay the Operator for the sailing guide at the current daily rate listed at the Operator’s offices and feed and accommodate the sailing guide. If a sailing guide is put on the Boat, then although the Charterer shall have possession, command, navigation and full control over the Boat, the sailing guide is to be sole judge as to whether it is reasonable or prudent to sail at any time and as to whether any specified anchorage is reasonably safe. The Charterer shall redeliver the Boat to the Operator free from any indebtedness which may have occurred on the Charterer’s account at the Port of Return together with all of its equipment, in the same good condition as it was at delivery, save for fair wear and tear from ordinary and proper use. If for any reason other than that the Boat has become a total loss, he shall fail to redeliver the Boat at the agreed place and time, he shall pay the Operator demurrage at the rate of the charter fee per night of the Boat plus 50% for every day or part of a day (“Agreed Demurrage”) until redelivery is effected. If the Charterer leaves the Boat at any place other than the Port of Return he shall pay to the Operator: all expenses involved in transferring the Boat to the Port of Return; Agreed Demurrage for the number of days required for the transfer; plus any losses or damage not covered by the Operator’s insurance which may occur on or to the Boat or otherwise arises from the redelivery until it has been redelivered to the Charterer at the Port of Return. In the event the Charterer should elect for any reason to redeliver the Boat prior to the end of the charter period the Operator shall not be liable to return any part of the charter fees. If upon completion of the charter the Charterer has not left the Boat in clean and tidy condition then the Charterer shall pay for the costs of cleaning the Boat. The operator reserves the right to recall the Boat at any time if the weather is considered by the Operator to be a threat to safe operation or in the Operator’s opinion the Boat is being improperly or incorrectly sailed, managed or controlled so as to imperil the Boat, other vessels or property or life. A recall may include but is not limited to a recall to the Operator’s base or an instruction to proceed to a haven deemed to be safe for the prevailing conditions. During a recall the Charterer may be required to vacate the Boat depending on conditions. The Operator shall not be liable for any lost time, expense or losses to personal goods or property due to recall and the Operator is not liable to repay any charter fees. The Charterer is advised to take out the appropriate insurance cover for such events. In the event of a malfunction of the Boat or its equipment, the Operator shall subject to prevailing weather conditions use its best endeavours to reach the Boat with a service call at the earliest opportunity. In the event a service call is not in the Operator’s opinion reasonably possible, or if the problem cannot be otherwise rectified, the Charterer shall proceed to the point designated by the Operator where repairs or replacement, where possible, will be made. If the service call is in the reasonable opinion of the operator due to any fault of any member of the charter party any cost incurred shall be at the expense of the charterer. In the event that a fault in the Boat is detected before or during the charter period that may cause unsatisfactory performance of the Boat or equipment, then the Operator has the right to expeditiously effect repairs. In the event the Boat is in the Operator’s opinion inoperable during part of the charter period through no fault of the Charterer rendering total or premature termination of the charter, the Operator may at its option endeavour to provide as a substitute an alternative boat of similar size and quality for the charter period. If no substitute boat can be provided the Charterer shall be entitled to a reimbursement, limited to the charter fees for each full day of the charter which has not been used. In the event of any accident, loss, breakdown or disaster, the Charterer shall give immediate notice to the Operator and shall not except to the extent necessary to minimise a loss of the Boat, authorise or undertake repairs without prior authorisation of the Operator. The Charterer shall be responsible for the costs and consequence of any unauthorised repairs. The Charterer shall make no admission of liability to any party and no refund shall be made in respect of any claim arising out of such accident, loss, breakdown or disaster, save as is otherwise provided in this agreement. The Operator at its discretion shall determine if the cost of any repair, service (including cost for service vessels), breakdowns, recall or repossession or any other costs incurred by the Operator are chargeable to the Charterer and if so shall be owing and paid by the Charterer. To the extent permitted by law, the liability of the Operator for indirect, special or consequential damages in connection with or arising out of the services under this agreement shall be limited to the supply of those services. The Operator shall not be liable for any other indirect, special or consequential damages. The use or consumption of illegal drugs by anyone using the Operator’s facilities, property or boats, either ashore or afloat is prohibited. The consumption of alcohol may increase the risk of injury around docks, water and boats and the Charterer accepts that risk. The Operator shall not be liable for any personal injury or death arising from or in any way related to the use or consumption of alcohol or illegal drugs. The Operator shall not be liable for loss of personal property and goods of the Charterer whilst on the Operator’s property or boats. The Boat chartered is customarily insured for the charter period as protection against any accidental loss or damage that may occur, or be caused by, the Boat during the charter period so long as the Boat remains in the cruising limits and perimeters established in clause 7 and is operated in compliance in all the terms and conditions of this agreement. Any excesses in connection with claims made under the policy may be debited by the Operator against the Charterer. In case of loss, accident breakdown, or a disaster, the Charterer shall give immediate notice to the Operator and shall not except to the extent necessary to avert or minimise damage or a loss of the Boat, attempt repairs without authorisation of the Operator. The insurance cover on the Boat does not usually cover Charterer negligence. The Charterer is liable for all damages or loss caused by him or other members of the charter party arising through his or any of the Charterer’s party’s negligence or incurred by malicious or wilful acts of the Charterer or members of the Charterer’s party. The Charterer’s liability extends to the Operator and other parties to the full cost of making good any loss or damage. The damage waiver payment in clause 3 in no way reduces the Charterers party’s liability arising from negligence or incurred by malicious or wilful acts. The Operator recommends that the Charterer effect Charterer negligence insurance and appropriate travel insurance. The Charterer shall indemnify, reimburse and hold the Operator harmless from and against any acts and all claims, losses, liabilities, demands, suits, judgement or causes or actions and all legal proceedings whether civil or criminal, penalties, fines and other sanctions and any other costs and expenses in connection which may result from, or arise in any manner out of any matter related to this charter agreement or arise out of the management, control, encumbering use or operation of the Boat by the Charterer. No claim of any nature shall be brought against the Operator by the Charterer or any of the charter party and the Charterer agrees that he shall indemnify the Operator in respect of any amount paid by the Operator in respect of any such claim. If the charterer damages the vessel to the extent the charter cannot continue, the owner is not liable to pay any refunds, compensation or replace the vessel with another. The charterer may take out insurance to cover this event. In the event that in the reasonable opinion of the Operator the Boat becomes inoperable during the Charter Period through action or inaction of the Charterer or any of his party the operator may at its option terminate this agreement and retain all charter fees paid. The Operator may then at its option offer a further charter to the Charterer on another vessel. The Charterer shall if he accepts the offer then pay another damage waiver and all costs of a further charter including the charter fee. The Operator and its insurance underwriters shall not be liable for accidents, injuries or death due to: swimming; windsurfing; the use of the Boat’s dingy and outboard engine; or the use of snorkels, masks, fins or scuba equipment whether supplied by the Operator or otherwise. The user of the equipment referred to in this clause must ascertain that they are experienced, qualified and capable of using the equipment and the equipment is suitable and in good condition for the purpose for which it will be used and for the person using it. The Charterer agrees to contact the Operator’s base on or within such time as the Operator may at its discretion stipulate to the Charterer including each morning and afternoon on each day of the charter period and furnish necessary details of the Boat’s position, intended plans for the day and intended anchorage position for that evening. In the event that the Charterer fails to so notify and contact the Operator’s base on any two consecutive schedule periods, then that Charterer shall be responsible for all costs or expenses incurred by theOperator in searching for the Charterer including but not limited to, the hire of aircraft or other means of transport. Charterers pay a fee of $20 per person (over the age of 4 years) on arrival for costs of the use of the Great Barrier Reef Marine Park. The Charterer shall also pay and discharge without exception all taxes, charges, assessments and outgoings and impositions relating to the charter imposed by or under federal or state law, or by federal, state or local authorities and whether on a capital or revenue basis or any other basis and even though of a novel character which may at any time be introduced during the period from execution of this agreement to the end of the charter period. The Charterer shall not assign or sub-charter his interest in the Boat without the prior written consent of the Operator. The Operator may assign its rights under this agreement. This agreement shall be governed by the laws of the State of Queensland and the Commonwealth of Australia and any dispute arising or relating to the agreement or the charter shall be referred to the courts of Queensland and be heard at the nearest relevant court, being the Magistrates Court at Proserpine, the District Court at Bowen or the Supreme Court at Mackay.